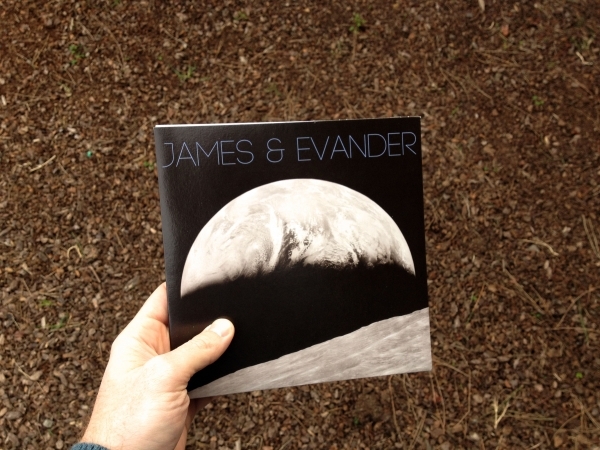 James & Evander are music nerds. As such, the Oakland production pair has taken inspiration from any number of genres over the past few years, resulting in a catalog of invitingly adventurous synth-pop that’s appeared across a number of releases. With this latest endeavor, J&E found themselves completely enamored by the music of San Francisco’s late ‘70s and early ‘80s gay disco scene, particularly the work of artists like Patrick Cowley and Sylvester. But the resulting tracks are not mere pieces of admiration, instead using the vintage sounds only as a jumping point into new territory. The two songs presented here are slices of space-age pop, with touches of silky-smooth disco and soul-tinged house brimming from the edges. Backed with a bonus original track and remixes from Teen Daze, and fellow Oakland residents Yalls and Some Ember, the full EP is a melodious voyage through galactic disco and beyond. 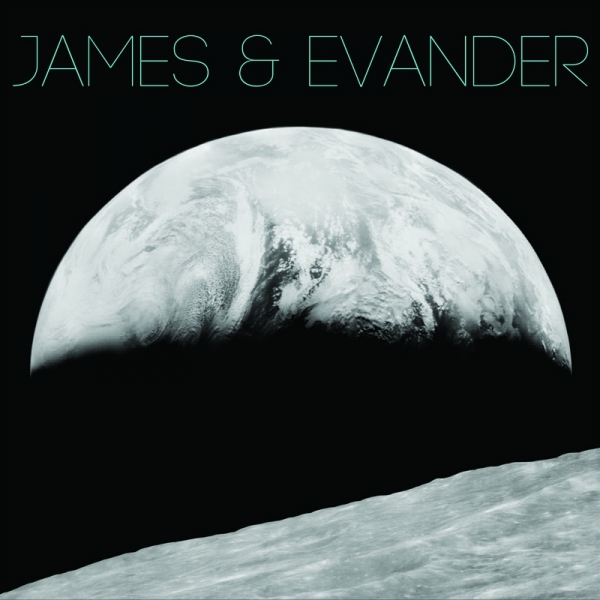 "I can’t believe it’s already been two years since James & Evander dropped their splendid mini-album Sunlight & Cicuirty, an album cover so beautiful that it was easily recognized on several blogs’ 2010 end of year lists, even though the hype around them wasn’t exactly massive. Since then they’ve grown a little bit out from the synthpop pond and into bigger, glitchy waters, leaning more towards disco pop now than ever. Somehow they have still managed to keep their cape of spacey darkness intact, making you feel like your body is rushing through cities in fast-forward motion, with lines of light streaming towards you from every corner." "Another electronic poppy tastemaker that (hopefully) introduces another full-length. ”Let’s Go” takes you to another electronic spectrum, it absolutely makes you long for the night." "Back and sounding great as ever, the outfit expands on their space-age synthpop sound as well as a surprisingly funky disco-pop oriented take with b-side “Welcome to Planet Dance”." "The record is a final demonstration of the band's ability to translate myriad influences into compelling compounds, music that proudly wears its references and synthesizes them into a remarkably organic whole. They're ambitious and clearly they have the wherewithal to keep it up." 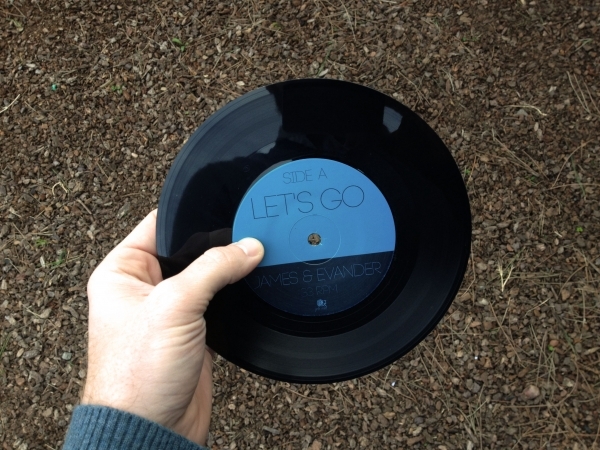 "The new 7-inch from James & Evander is straight up boogie madness. The bay area duo were brought together by their love of 70′s era disco and the culture surrounding it, which definitely shows on “Welcome to Planet Dance” as the track has that sort of modern day San Francisco warehouse party vibe. It’s smooth and unabashedly referencial, which is exactly what I want from contemporary disco." "I beg of you, please play this at the next event you go to with intent to have more then a raucous time. 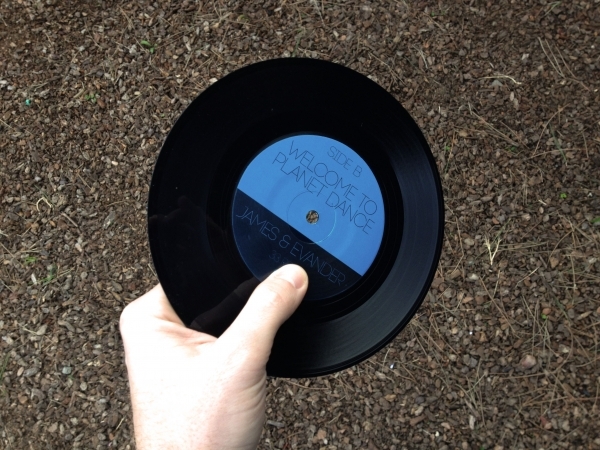 The two songs featured on this 7” are a testament to Oakland, Gold Robot Records & good times alike. You can’t go wrong. Not if you enjoy a rich, layered sound in your music that pairs it’s lyrical sentiment with the backing instrumentals." "It’s a party on a warm summer day complete with tipsy day drunk vibes, silly samples that act as social lubrication for fun, and funk speckled overtones that are like icing on the pretty little cupcakes laid out for dessert. I was pleasantly surprised at how much I dug this song. It takes you by the hand like your crush suddenly sweeping you up and whisking you off to the impromptu back patio dance floor. You get all up in the moment before you have time to even realize." 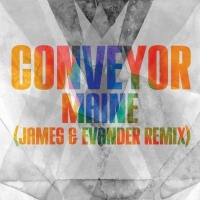 "Melding a sleek disco vibe with some early-90s samples and Hot Chip-style whisper-sung vocals, James and Evander have created a stellar pair of dance tunes."